When Oi Frog! launched back in Feb 2014 Kes and I could never have dreamed we'd be publishing our fourth (fifth if you include WBD Oi Goat!) Oi book this year. The Oi series has now sold over 650,000 copies and we've had a growing number of Oi fans over the last couple of years. So we are very excited to announce Maximum Licensing will expand the award winning Oi! picture book series into licensing and Hachette will be managing stage rights. The first Oi products will launch later this year. Grandpa Christmas is a hopeful and timely story about a grandfather’s heartfelt wish for his granddaughter to live in a better world. The story shares a powerful environmental message about the importance of caring for our planet. Grandpa Christmas will publish on Thursday 04 October 2018. So that's pretty ruddy exciting. The first visuals will be revealed at Bologna Children's Book Fair in March. Psssst - you might get some tasters of work in progress on my Instagram feed. Well it's been a rather happy new year so far, I hope your 2018 is treating you well. Oi Dog! won Picture book category in the Lollies award (Laugh Out Loud Award) a couple of weeks ago. I travelled over from Paris the same morning. It was a really fab event by Scholastic, I was expecting a room of 40 people but when I arrived (late) it was in a beautiful Art Deco Theatre called the Troxy in East London full of school children, publishers, illustrators and authors - about 300 I guess. I was hinted we may have won when our Editor Emma was panicking as neither Kes or I had arrived yet 10 minutes into the event, and I may need to give an acceptance speech alone as Kes' train was delayed as a tree had fallen on the track from the storms the night before. Paaaaaaaarrrrrrrppppp! The other books shortlisted were all worthy winners, and brilliantly funny. The award was given by two of my illustrator heroes Axel Scheffler and Tony Ross, it's such a huge honour to win this prize and to be awarded by these two illustrator legends was amazing, I wish Kes had made it. Well he did, after the awards just in time for the pub. Thank you to Scholastic for making this award and putting together such a brilliant event, after the Roald Dahl Funny Prize ending this was a huge void and the Lollies have filled it brilliantly. WORLD BOOK DAY ILLUSTRATOR 2018! Kes Gray wrote the draft of Oi Goat! a couple of years ago and we were all hoping that it would chosen to be a WBD book in the future. Fortunately it was. It's a real celebration of World Book Day with Frog, Dog and Cat and some very funny rhymes! While I'm over in the UK I'll be doing a book tour of London on the Monday 9th and Tuesday Morning at some lovely Independent Bookshops and just as lovely Waterstones stores. I'll post a list of these in my events page, so come along if you can! It's been an utterly amazing year so far, and the good news keeps coming. OI DOG! was announced as the winner in The Federation of Children's Book Group, Younger Children's category up against some really amazing books, all completely worthy of the prize. Thank you so much to the FCBG and all the children and Schools who voted. Michael Morpurgo and Michael Foreman were the overall winners with their book An Eagle in the Snow and One by Carnegie Medal-winning author Sarah Crossan won the Books for Older Readers category. Sadly I was unable to make it over for the awards on Saturday but fortunately Kes was. There's more about the award here. Wow! Strewth! Totally over the moon that THE KOALA WHO COULD is this year's Evening Standard Oscars Book Prize Winner. Sadly I was unable to make it over to London for the awards on Monday night at The Ned. It looked really rather snazzy. Congratulations to all the other shortlisted books. Thank you so much to the amazing team at Orchard Books! They're the unsung heroes of the books as without the amazing Editors, Art Directors, Publisher, Sales and PR Team they wouldn't happen. I'd personally like to thank my Art Director Grahame Lyus for helping me out on those ever tricky spreads and doing a lovely job setting the type and my ace agent Jodie Hodges. CBeebies Presenter and Lollies Host - Katie Thistleton, Hairy Me, Axel Scheffler and Tony Ross. Me and Kes with our Lollies Trophy, before the pub. Kes Gray on the far right. Author extraordinaire Rachel Bright and Grahame Lyus' back of head. So pleased to finally let you know I'll be the Cheltenham Literature Festival Illustrator for this years Family and School events. Click here for my details. I'll be doing Oi events with with fab Kes Gray, revealing a new Squirrel Tale in my first joint event with the fantastic Rachel Bright and I'll also be hosting a couple of drawing events of my own. More details to follow soon. Oi Dog! seem's to be on a roll. It's been shortlisted for the Independent Book Awards and has also just been shortlisted for the Early Years Excellence Awards 2017 in the picture books category! I'm so over the moon that people are enjoying the sequel to Oi Frog! it's amazing! I'm going to go for a lie down. Absolutely chuffed to hear THE KOALA WHO COULD by Rachel Bright and me - published with Orchard Books last September - has been shortlisted for The Evening Standard's OSCAR'S Book Prize. The Prize was set up in memory of Oscar Ashton - who was only three years old when he died from an undetected heart condition in December 2012 - by his parents with the support of the London Evening Standard, Amazon and the National Literacy Trust. It's a honour for Rachel and me to be shortlisted for a second year running for such a prestigious prize alongside such fantastic books. You can read more about the shortlisted books HERE. 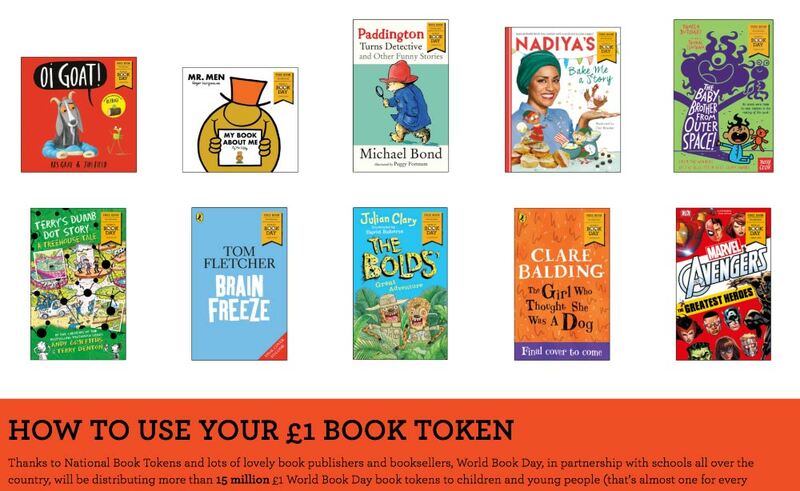 The winner will be announced on May 15, when Oscar’s Book Prize patron HRH Princess Beatrice will present the winner with the £5,000 prize. Hello folks! Welcome to my new Website. You'll find all of my Picture Books and Fiction Books on the BOOKS page, with artwork, character designs, rough spreads and links to purchase the books. On the PROJECTS page is the non book stuff - a mix of commissioned projects and personal projects for you to browse at your leisure. EVENTS has details of any upcoming or current Events, Festivals, or Exhibitions taking place. The ABOUT page has my Biography and Awards. Over on the CONTACT page is links to my Twitter and Instagram, who to contact with regards to Publishing and Events,illustration commissions or just to get in touch with me to say hi! And finally I've re-opened the SHOP, there will be more prints and original art work for sale on here in the future. To be first to hear you can sign up to my MAILING LIST for latest details on books, events and artwork for sale.